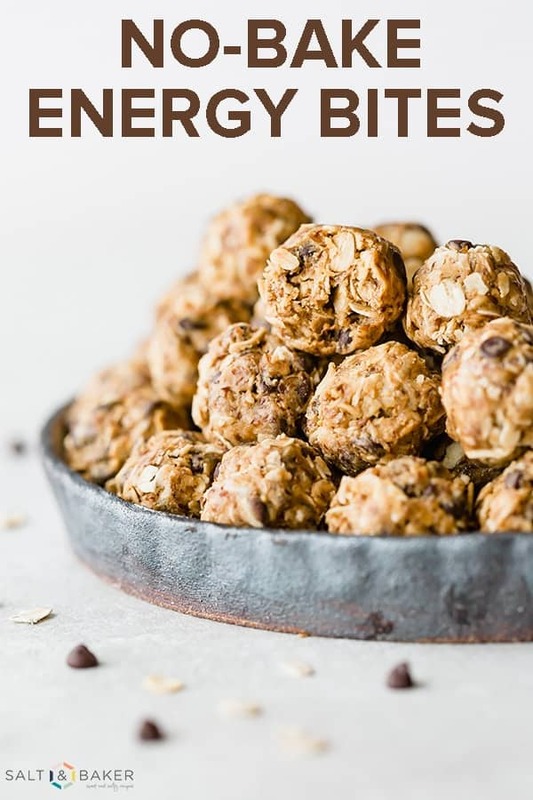 These No-Bake Energy Bites are a low calorie, healthy, and EASY snack! 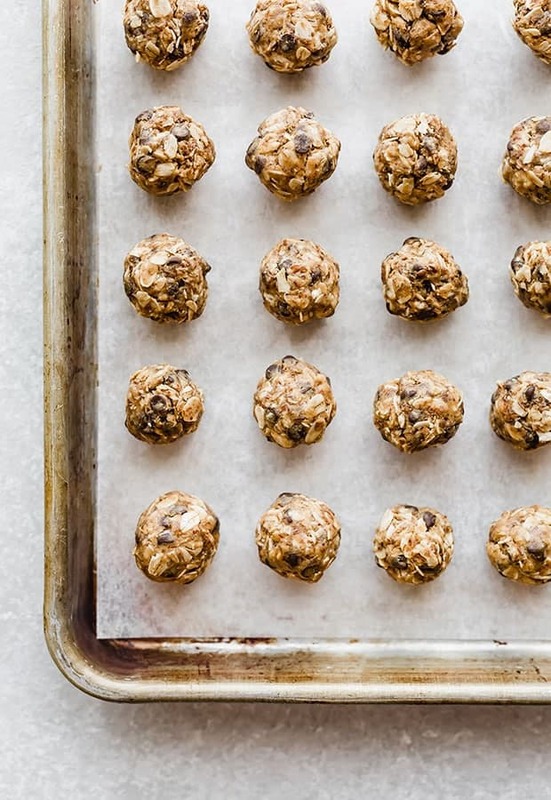 A guilt free, energy boosting, perfectly portioned (and PORTABLE) snack. Need I say more? Raise your hand if you made a New Years resolution to eat healthy and drink healthy smoothies. If I just described you, then I have good news! 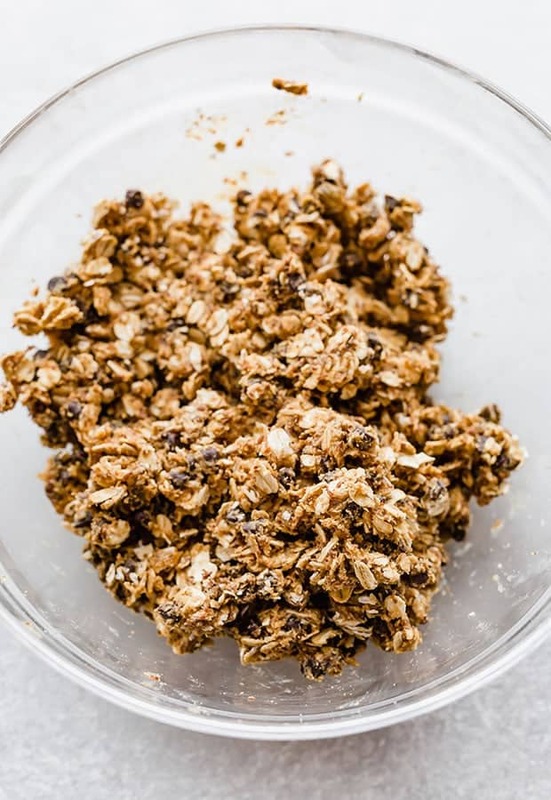 These oatmeal energy bites are just what you need. 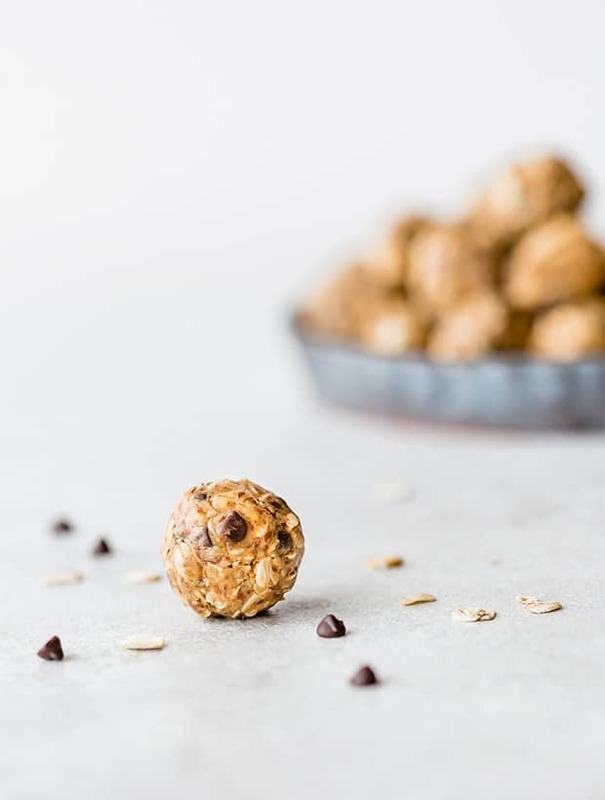 You can snack on one of these protein balls at your computer during work or use it to fuel a pre or post workout. He doesn’t argue. Maybe because they taste like candy? And being a busy mom, I’m DESPERATE for snacks that are filling, healthy, and not fruit snacks. 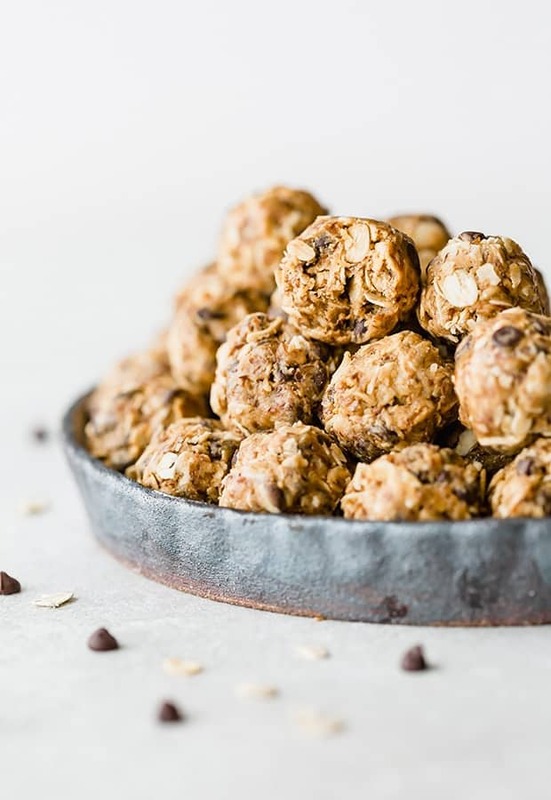 No-Bake Energy Bites are also referred to as protein balls or protein bites, and for good reason. These small balls are loaded with protein, healthy fat, fiber, and great flavor. They’re delicious, portable, and healthy. And easy. Like, super easy. 10 minutes easy. 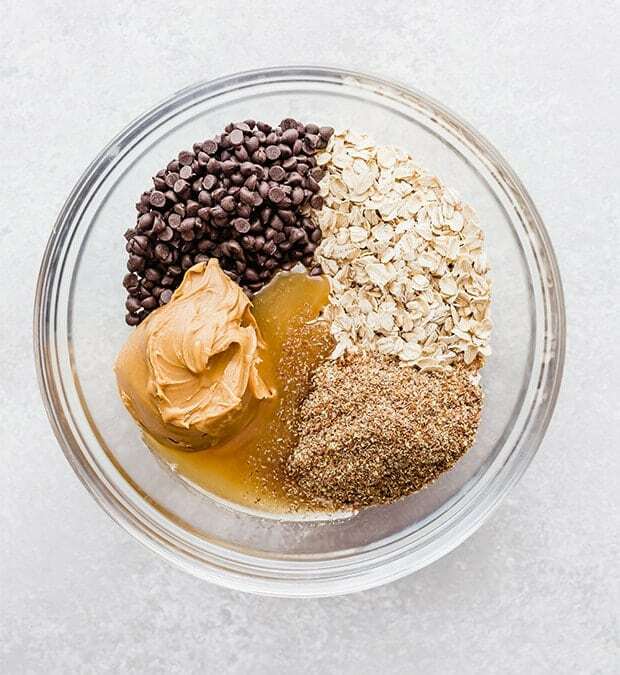 In a medium bowl combine the oats, flax seed, peanut butter, honey, vanilla, and mini chocolate chips. Using a small cookie scoop portion out the dough into 1-2 inch size balls. Place the balls on a baking sheet or plate, then set in the refrigerator or freezer to set. Pro tip: If you find the dough is sticky, you can cover the bowl with plastic wrap and set it in the fridge to chill. I would only chill it for 15 minutes. Once chilled, remove the plastic wrap and portion the dough into small balls. Place the energy bites in a ziplock bag or airtight container and store in the fridge or freezer. 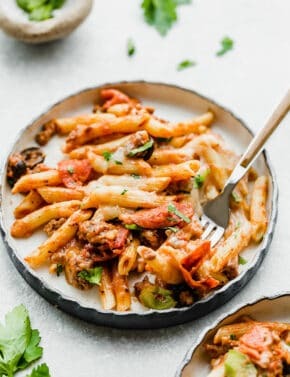 Energy bites will keep in the refrigerator for 1 week or in the freezer for up to 3 months. 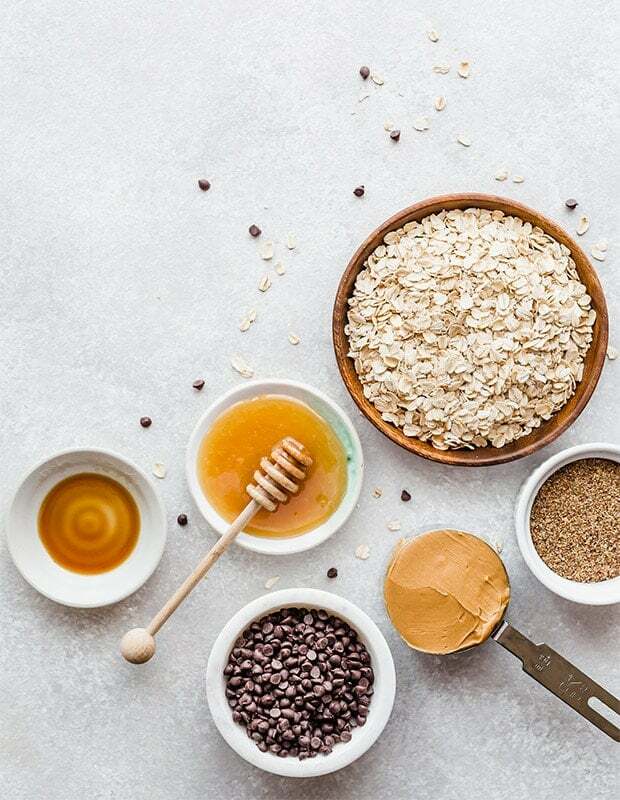 It’s definitely in your best interest to make these no-bake energy bites STAT. Beet Hummus – if you haven’t had beet hummus before, you are truly missing out. It’s so yummy! Craving more? SUBSCRIBE TO SALT & BAKER’S NEWSLETTER to get new recipes delivered straight to your inbox! 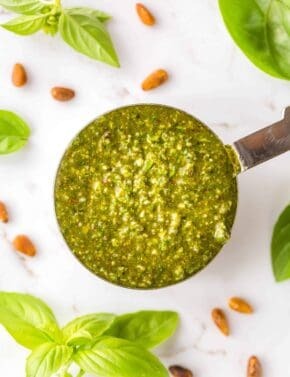 And be sure to check out some of my favorite kitchen products here. 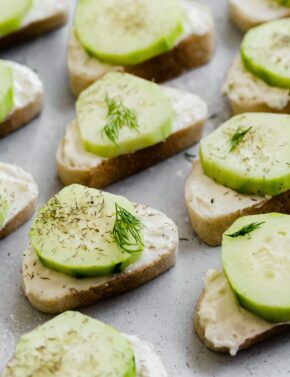 A perfectly portioned healthy snack. One that's portable and delicious. Combine all of the ingredients in a medium sized bowl. Mix to combine. Place the energy bites on a baking sheet or plate and freeze or refrigerate until fully set, about 30 minutes-1 hour. Place in an airtight container or ziplock bag. Store the energy bites in the fridge for 1 week, or in the freezer for up to 3 months. *I use a small cookie scoop to help portion out the bites, and then roll them into nice round balls. If you find the dough is a bit sticky, prior to rolling the dough into balls, you can cover the bowl and refrigerate the dough for 20 minutes. Then continue portioning out the dough into small bite size balls.